Much wealth had been brought to the state of Missouri through successful breeding and trading of mules. Demand for mules began to soar exponentially as improved technologies allowed for improved cotton production in the South. The Missouri Mule had proven to be most practical for the strenuous work to be performed. However, Missouri county reports of 1865 began to tell of the devastation of Missouri's Mule industry by the Civil War. Due to war efforts, agricultural needs for the Missouri Mule came to a screeching halt. Instead, mass numbers of mules were desired to help both the Union and Confederate armies. 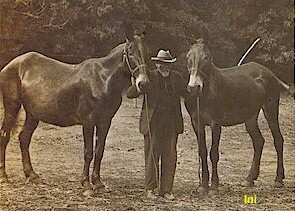 Most of the time, Missouri breeders found that most of their mules were simply taken by one side or other. To make matters even worse, mules that once brought in $150 per animal had dropped to a trading price of around $61. Mule production lowered to satisfy the needs of surrounding counties and the home state. Many farmers had grown accustomed to the use of mules. Keeping horses had become an unsafe practice during the war. A writer for Monroe County described the war conditions as a mule depression. Some breeders, such as those from Livingston County, found that a higher priced market existed in the West. California, Oregon, Idaho, and Montana were less affected by the war and provided the higher priced mule demand Missouri breeders were looking for. As the Civil War came to an end, the South was found in the midst of Reconstruction. Return to normalcy in the agriculture realm was slow, but also promising. As fields began to prosper once again, the demand for the Missouri Mule rose astronomically. Prices rose back to the pre-war levels. However, it took many years for Missouri's agriculture to recover from the devastation of the Civil War. An old war Veteran proudly shows his mules. Reference - Ashton, John. 1924. History of Jack Stock and Mules in Missouri. Missouri State Board of Agriculture. Volume XXII, Number VIII. This page was designed by Jennifer Deane. Photo from the Lyndon Irwin collection.